Assay development, qualification and validation belong to our core competences. We develop innovative assays on the in-house EliSpot platform for the detection of T and B cell reactivities. Next to the oncological area including the accompanying side effects (autoimmunity, immune-related adverse events = irAEs) we also address the cellular analysis of other immunologically relevant indications (e.g. multiple sclerosis, psoriasis, allergies). Our employees possess vast development experience in the regulated area of pharma and biotech! 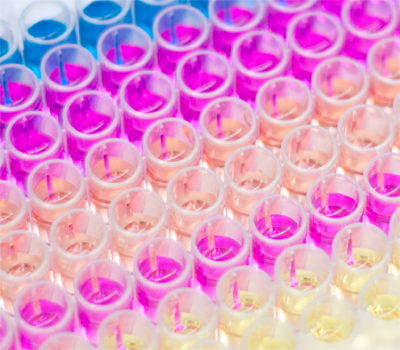 Our innovative EliSpot assays are used in preclinical as well as clinical drug development of innovative immunologically effective substances such as e.g. tumor vaccines or antibody checkpoint inhibitors. Here we fulfill our customers´ assay requirements and are able to select all appropriate components of the assay right from the beginning (e.g. target antigens, antibodies).